Wrote an extremely short story. Micro, rather. You can draw your own conclusion on why it ended so murderously. Enjoying good weather before it got cold again. 6)We milked our oldest cow for the final time Monday. Read her story on The Dairyman's Blog. I started doing homeschool pre-school with my 2 year old & I learned more than he did on the first day! 8. Birmingham Blogging Academy - A video shows a great approach to corporate storytelling. 9. Y'all Connect - In our storytelling series, a look at the backbone of "Community" and other comedic storylines. 10. Project Bulk - The latest numbers in my get-in-shape quest. 11. 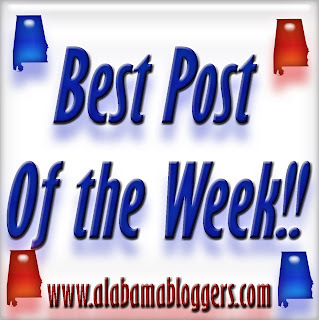 Alabama Bloggers - Join us for the January blogger meetup at Mr. Chen's in Hoover.